With its strategic and creative ideas, Yes Tech Solutions Inc. is actively involved in providing complete range of solutions related to websites. Based in Kolkata (West Bengal, India), we are supported by a group of professionals whose dynamic execution and support enable us to cater to varied requirements of clients leading them towards results-driven success. With our services, we provide all sorts of solutions for website designing, SEO, App designing and others. Additionally, we provide efficient custom development, designing, marketing and management services to increase footfall at your website. For further discussions and query, reach us anytime 24/7. 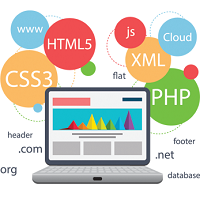 At Yes Tech Solutions Inc., we are offering exceptional web site development solutions to various organizations across Kolkata (West Bengal, India). Our web professionals understand the requirements of the company and design the website accordingly. We make use of excellent software for developing your website that includes Java, Serve Lets, Web Sphere, Web Logic, HTML, Java Script, and many more. In addition to this, we add effective content to the website. Therefore, today we are catering to a large number of industries proficiently. 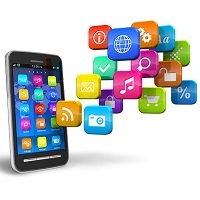 With new technologies emerging in the electronics industry, mobile app development has become an essentiality. Therefore, we offer the best application development services to the mobile users across Kolkata (West Bengal, India). We are blessed with a team of adroit electronics professionals who make use of the best technologies in order to develop efficient applications. We make use of Oracle 81, Oracle DBA, SQL-DBA, data modelling, data warehousing, and several others while developing the mobile applications. So, contact us for getting the best application development solutions.